I’d hate to make you read through all of this and keep your hopes up for a definitive answer the whole time, so I’m just going to spoil it all now and say that there actually is no meaning behind the “-P” in “Luna-P.” But wait! Before you move on, you should at least stay for the back story behind this mysterious appended letter, because there’s actually a rather interesting story behind it! 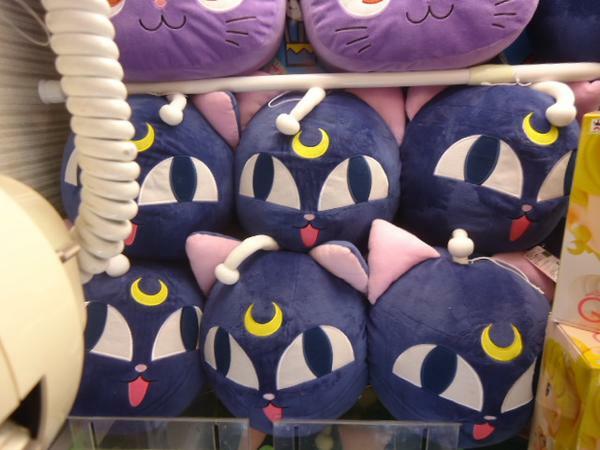 The first thing to mention that there are actually a lot of characters with the “P” nickname, and not just in Sailor Moon (Mina-P, Luna-P, and even Naru’s mother’s jewelry show, the Osa-P), but in Japanese media in general (Noriko ‘Nori-P’ Sakai1 and Tomohisa ‘Yamapi’ Yamashita2 being notable examples). 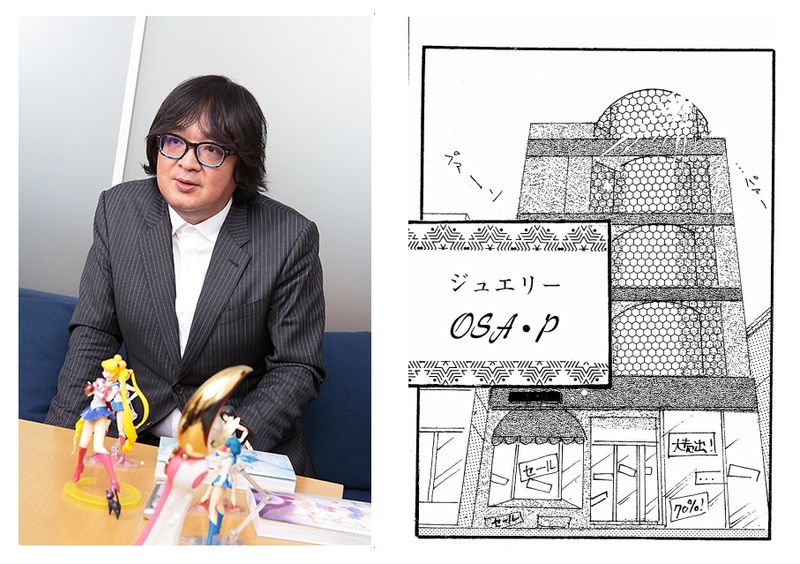 This was a big boom in the late 80’s and early 90’s and even still crops up in Japan today, even if it is seen as a bit of an older fad.3 Going back to our Osa-P example in Sailor Moon, is named after Ms. Takeuchi’s editor at Nakayoshi, Fumio “Osabu” Osano. The ‘Osa’ part of his name was taken and the cute modifier ‘-P’ added, and then bam! Instant jewelry shop. Osa-BU and Osa-P – See the Resemblance? But that doesn’t answer our (revised) question of where this -P naming trend comes from. To do that, we need to go back to our real-world examples from before – particularly Ms. Noriko Sakai who debuted in 1986 as a singer/idol. Early on in her career, she went by the nickname “Nori-P” – a moniker invented by her and Hideyoshi Aizawa, the president of the talent agency she worked for – and as a part of her branding would introduce a whole slew of unique words and phrases which were picked up by the media as the so-called “Nori-P Go” (lit. Nori-P Language; Nori-P-isms).4 This was made up as a form of branding to form a cohesive image for her and to appeal to both young women and adult men alike, by putting an emphasis on her creative childishness, a very important part back then as well as today in Japan’s kawaii culture. But if she was already using the -P moniker back in 1986, it must have come from somewhere, right? Or did she and her manager create this all by herself? Read also: What Did Rubeus Mean that it's the Age of Aquarius? This bee started to get attached to people’s names before ultimately becoming pronounced by people through repeated use as ppe through the linguistic phenomenon of phonetic change7, which then ultimately inspired Ms. Sakai to adopt her school-girl nickname of Nori-ppe into Nori-P when she went about creating her idol persona. So, to make this incredibly long story short, what does the P in Luna-P stand for, exactly? While it doesn’t stand for anything directly, it is definitely a sign of the times and, though slightly dating the world of Sailor Moon, adds a certain early-90’s atmosphere to the world of the Sailor Soldiers, and I suppose we can thank future Ami (as the inventor of Luna-P) in the far-flung future of Crystal Tokyo and her nostalgia for her youth in introducing ChibiUsa to a simpler time! ← How Long Did the Fight Against Beryl and the Dark Kingdom Last? Very interesting! All this time, I figured the “P” stood for “Pluto” since Chibiusa uses Luna-P to contact her. Thanks!